The Eurolanche Fan Club met with Andrei Mironov in Slovakia and talked about his possible future with the Colorado Avalanche. He may not be fluent in English like other European long-tenured players in North America, but on the ice, everyone can already understand his language. 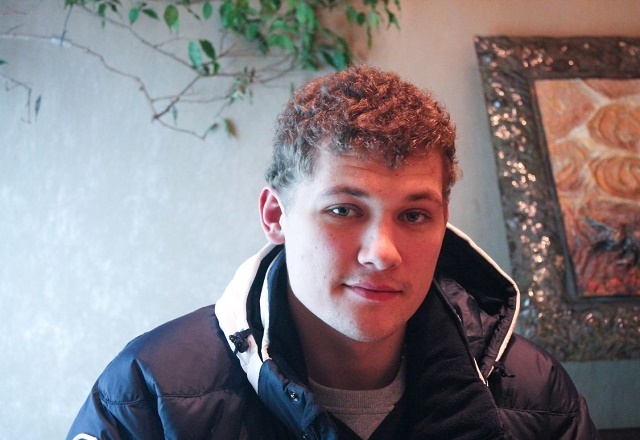 Andrei Mironov, the 22-year-old Russian defenseman who was drafted by the Colorado Avalanche 101st overall in the fourth round of the 2015 NHL Entry Draft, is known for his defensive, stay-at-home style of play and his huge hits in the KHL. Yes, he may still play in the world’s second-best ice hockey league in the world, but that might change soon. I met Andrei in Bratislava, Slovakia, one day prior to his game against the local HC Slovan Bratislava. Despite the language barrier, he was really nice, humble and tried to give me as much answers as he could with the help of the team’s PR manager. He has already shown his skills on the ice, now it’s the Avalanche’s turn to try to lure him away from the KHL and make him part of the team’s defensive corps. In an old interview from 2013, Andrei said that he still needs to grow in order to play in the NHL. Now, after four years in the KHL at the senior level, he feels he’s ready to take the next step. 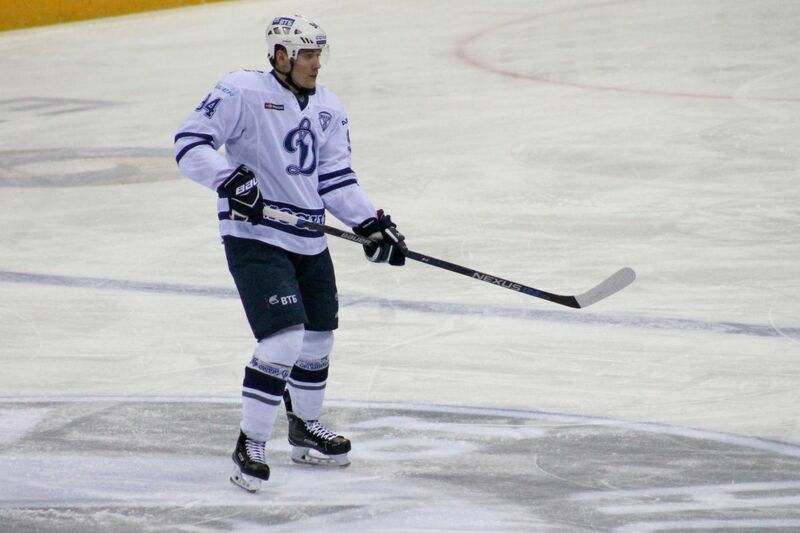 Andrei has been part of the Dynamo Moscow organization since his junior years. He made his debut for the first team in the KHL during the 2013/14 season and ultimately got to hoist the Gagarin Cup as league champion. He was named assistant captain of the Russian national junior team at the World Junior Championship the same season. He also won two bronze medals at the junior level, too. Andrei became the youngest member of Team Russia at the World Championship in 2015 and left the tournament with a silver medal following the loss against Team Canada in the finals. He regularly represents his native country at the other international tournaments as well. Was it hard to grow up in such big hockey city like Moscow? You have to have some luck along the way. I took it step by step, always trying to move forward in order to join Dynamo Moscow. When did you start to play hockey? Were you a defenseman from the beginning? When I was five years old and yes, I have always been a defenseman. Was winning the Gagarin Cup during your first season in the KHL a big surprise for you? Of course. I was also very happy to win it. It was a great feeling. What’s more important to you, the Gagarin Cup or silver from the World Championship? Do you think every season you play in the KHL makes you a better player? I work hard every day and it’s not for me to say if I’m better with every year or not. Only the coach can say that. I read an old interview from 2013, in which you said you didn’t feel you were ready for the NHL yet. Has it changed? I’ve never played in the NHL, but I think I’m ready to give it a try. What was your reaction when the Avs drafted you? I was glad, but nothing changed for me. I woke up the same before draft, as I did after the draft. Of course, every player dreams of playing in the NHL. It was really nice that they chose to draft me. 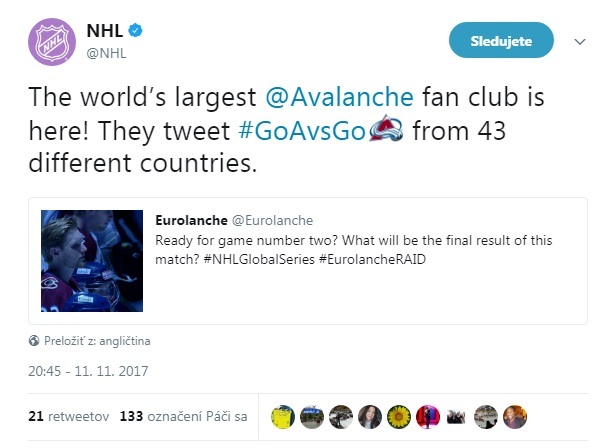 Do you follow the results of Avalanche games? I know what’s happening over there. Do you know any players from the team? Yes, I know the Russian playing for the Avalanche. I played with them. Are you in the contact with someone from the Avs? Do you know where you will play next season? I don’t know. I will make a decision during the summer. Question for the PR manager: If he gets an offer to play in the NHL next season, would your team allow him to go? PR manager: I think it wouldn’t be problem, because our [general] manager said he could. Would you be willing to play in the AHL? As of now, I’m not ready to answer this question. I just want to be the best player I can be. I’m working hard to be the best. Do you know that you became the first player from Russia to be drafted by the Avalanche since 2004, when they drafted Denis Parshin? I’m pleased the Avs are counting on me. Is your dream to play in the NHL? Eurolanche's note: All game-photos were taken during the game between the KHL's HC Slovan Bratislava and Dynamo Moscow (played in Bratislava, Slovakia) on February 2, 2017. Dynamo won 2-1 despite being outshot 30-41. Mironov had a TOI of nearly 18 minutes (also playing on the penalty kill), had two shots on goal and took a minor penalty for tripping. In our opinion, Mironov played a solid game, even if it wasn't his best performance. After four years in the KHL, he is ready to take the next step and play in the NHL. Don't expect points from him, as he's your typical defensive defenseman, who barely crosses the offensive blue line. More photos of him from the game are available in this photo gallery.